Clean Room manufacturing involves eliminating small particles from contaminating products in the assembly process through a controlled environment. Every manufacturing environment is at risk of airborne microbes, dust, and chemicals. Clean Room machinery is critical in the medical, pharmaceutical, food processing, where these pollutants can inadversely affect the end product. 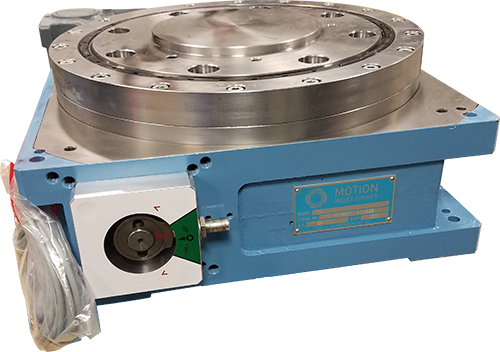 Motion Index Drives can customize our products to comply with Clean Room specifications in all the required manufacturing industries with our MedEx Line of indexers. Whether it be steel plating, special coatings, or having your unit completely sealed to eliminate intrusions. 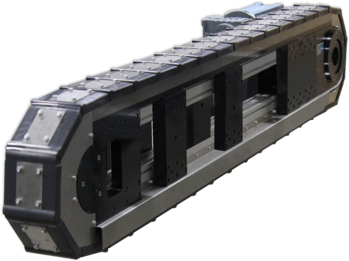 Motion Index Drives designed a custom stainless steel precision link conveyor. Manufactured to meet and exceed requirements established for “wash” down environments conducive to food processing facilities. Stainless steel is the preferred choice in order to comply with the FDA regulations to use high grade materials in the manufacturing of food grade equipment to eliminate food borne bacteria, and corrosion.